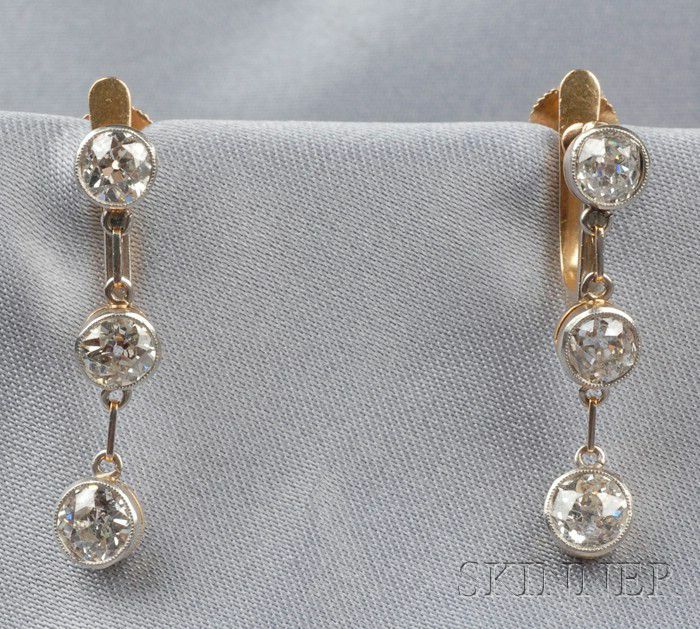 Edwardian Diamond Earpendants, the bezel-set old European-cut diamonds joined by knife edge bars, approx. total diamond wt. 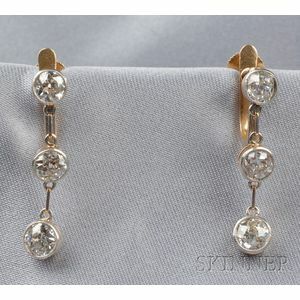 1.82 cts., millegrain accents, platinum-topped 18kt gold mounts, lg. 1 in.